Slovak Telekom is the largest multimedia operator in Slovakia. It provides products and services of fixed-line and mobile network to individuals, households and corporate clients. Slovak Telekom has long been a leader in technological innovations on the Slovak telecommunication market. The company is the biggest provider of wired broadband internet through optical and metallic networks (FTTX, ADSL, VDSL). Slovak Telekom also provides digital television via the latest IPTV and DVB-S2 satellite technology. In the field of mobile communication, the company provides internet access using several technologies of high-speed data transmission - GPRS/EDGE, UMTS FDD/HSDPA/HSUPA, Flash-OFDM and LTE. The Slovak Telekom Group comprises the parent company Slovak Telekom, a.s. and its subsidiaries Zoznam, s.r.o., Zoznam Mobile, s.r.o., Telekom Sec, s.r.o., PosAm, spol. s r.o. and DIGI SLOVAKIA. The Slovak Telekom Group offers its customers fixed network services, mobile communication services, internet connection, digital and cable television services, comprehensive IT and ICT solutions including cloud services, internet content and security services. The international knowledge that Slovak Telekom has thanks to its membership in the multinational group of Deutsche Telekom companies enriches cooperation and synergies among the individual group members. Slovak Telekom is a member of the multinational Deutsche Telekom Group. Deutsche Telekom is a leading global telecommunication company which provides services to more than 180 million customers in 50 countries. The company's majority shareholder is Deutsche Telekom Europe B.V. with a 100 % share. Slovak Telekom’s final parent company is Deutsche Telekom AG. Jose Perdomo Lorenzo is a seasoned executive with more than 20 years of experience and a profound telco and commercial background. He graduated as an aeronautical engineer in Madrid, Spain, and worked in the Boeing Company in the US until year 2000. He returned to Spain and joined McKinsey & Company as a management consultant where he focused in the telco industry across Europe. In 2006, he moved to Telefónica Spain and in 2008 was appointed Vice President of the Consumer Division at Telefónica O2 in the Czech Republic, the test market for FMC in the Telefónica Group. Finally, he worked until 2013 in Telefonica Digital, the global unit in charge on new digital services. In 2014, he joined the Millicom Group (a telco with around $6bn revenue, with more than 18,000 employees) and took over his most recent position as country CEO of Tigo in Paraguay, in charge of the local leading convergent telecommunications operator. Pavel Hadrbolec has extensive experience in the telecommunications industry. In 2000, he joined Oskar (now Vodafone), being responsible for long-term planning and cash-flow at various analytical and project positions and he helped to bring the third operator to the Czech market. Since 2004 he had worked at T-Mobile Czech Republic, where he held a number of expert and managerial positions in the Finance Division, and also played an important role in the integration of T-Systems and GTS. For the past three years, he has held the post of Vice President of Performance management Europe at Deutsche Telekom's parent company. From the 1st April 2019 he became Chief Financial Officer in both Slovak Telekom and T-Mobile Czech Republic. Dušan Švalek’s career began as product and senior brand manager at Benckiser and Johnson&Johnson, respectively. He worked at the Boston Consulting Group for six years. He joined T-Mobile Slovensko in 2004 as Director of the Customer Service Division, before being appointed Chief Marketing Officer in 2007. From 1 July to 31 December 2010 he held the post of Marketing Director at Slovak Telekom. 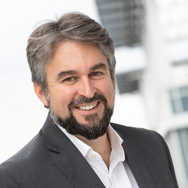 Since 1 January 2011, Dušan Švalek was responsible for marketing strategy for individual segments and for product management and the development of voice and data services in line with Deutsche Telekom‘s international strategy. As of 1 October 2012, Dušan Švalek is named as Chief Mass Market Segment Officer. Branimir Marić began his career with Hrvatski Telekom in the field of internet network management and development. He was subsequently the Head of the Group for customer IP and data networks, and worked as Director of Technical Research and Product Development. He held the position of Executive Director for Group Network Strategy and Platform Development and at the same time he was member of the Croatian T-Com’s Executive Board. After the merger of Hrvatski Telekom and T-Mobile Hrvatska in January 2010, Branimir Marić held the post of Operating Director for Service Management and Network Operations Sector for fixed and mobile networks. Under Branimir Marić’s lead, Hrvatski Telekom made significant strides forward in improving the quality of mobile and fixed services, consolidating the mobile and fixed segments, and developing tools and applications for operational support systems, which allow increased operational efficiency and customer satisfaction. Since 1 January 2012 has held the position of Slovak Telekom’s Chief Technology and Information Officer. Ján Pitoňák graduated from the Bratislava Comenius University, Faculty of Law, and joined the Slovak Telekom Group in August 2000 in EuroTel (later T-Mobile) as Head of the Legal Department, then later as Executive Director of the Legal, Regulation and Regulatory Affairs Division where he was responsible for managing the legal and regulatory agenda. In 2001 he also became the company’s chief clerk. Subsequent to integration Ján held the post of Corporate Service Division Director. Since the 1st of October 2012 Ján Pitoňák has held the post of Slovak Telekom Chief Legal and Corporate Affairs Officer, with his responsibilities including regulatory and legal affairs, compliance, corporate security and public affairs. Peter Škodný brings more than 25 years of experience from Accenture in Slovakia and other countries in Europe. He joined the company in 1991 and was active on several managerial positions. Since 1997 he has been responsible for Slovak market and since 2012 he has managed Hungarian unit as well. He had overall responsibility for Accenture operations on both markets across all business dimensions. In 2012 he took over the full responsibility for Accenture business in many markets in Deutsche Telekom. Since 2013 he was responsible also for the Accenture Danubia (Czech, Slovak, Hungarian, Croatian, Romanian and Bulgarian) Geo Unit. At Slovak Telekom, corporate responsibility principles are an inherent part of our philosophy, strategy and everyday market operations. Acting responsibly and with respect is one of the five values that underline the business conducted by all the firms and subsidiaries within the Deutsche Telekom Group. Responsible business involves more than a handful of activities to help communities. It is the core of what we do, a constituent of the Company’s overall functioning. We work on the symbiosis of successful and responsible business in all spheres of our operations, be it the community where we operate, the employees for whom we create a motivating working environment, the customers (our top priority), or the vendors we select. Minimizing negative impacts on the environment is a natural and self-evident process. The Annual Report presents an overview of highlights of the year in the Slovak Telekom Group comprising Slovak Telekom, a. s., Zoznam, s. r. o., Zoznam Mobile, s. r. o., Telekom Sec, s. r. o., PosAm, spol. s r. o. The report provides an introduction of each member of the Group, the Slovakia's telecommunications market, company's management as well as the consolidated and individual financial statements. Slovak Telekom is the largest multimedia operator in Slovakia. It provides products and services of fixed-line and mobile network to individuals, households and corporate clients. Slovak Telekom has long been a leader in technological innovations on the Slovak telecommunication market. The company is the biggest provider of wired broadband internet through optical and metallic networks (FTTX, ADSL, VDSL). Slovak Telekom also provides digital television via the latest IPTV and DVB-S2 satellite technology. In the field of mobile communication, the company provides internet access using several technologies of the high-speed data transmission - GPRS/EDGE, UMTS FDD/HSDPA/HSUPA, Flash-OFDM and LTE. 100% shares owned by Deutsche Telekom Europe B.V. The mother company of Slovak Telekom is Deutsche Telekom AG. Slovak Telekom, a.s. is one of the largest purchasers of goods and services in Slovakia. Slovak Telekom favours business partners with certification in their scope of business, and supervises whether their business is ethical and complies with valid Slovak legislation. Moreover, Slovak Telekom supervises the security and environmental impacts of business activities of its suppliers, as well as certain aspects sensitively perceived by the global community (e.g. the use of child labour). The procurement process is subject to systemic optimisation and innovation in order to provide high quality services to internal customers within the company. The high quality of procurement process services is ensured by the inclusion of the Procurement Section’s activities in the quality management system. The system meets the requirements of ISO 9001:2000 and is certified by a renowned international company. Procurement-related information regarding the purchasing process, tendering and supplier evaluation can be found here. The operator of this website is Slovak Telekom, a. s. (“Slovak Telekom”). Slovak Telekom allows you to view and download materials from this website only for personal, non-commercial use, provided that all copyright and property statements contained in the original materials on any of their copies remain intact. The provision of information does not mean that Slovak Telekom grants licenses to any copyrights or other intellectual property rights. Duplication and distribution of materials from this website for other than personal use is possible only with the prior written approval of the Department of Corporate Communications of Slovak Telekom. The information published on the website is provided by Slovak Telekom, and its purpose is to inform mainly about the product range and activities of Slovak Telekom. Slovak Telekom may change or update the information published on the websites of the Slovak Telekom group of companies without notice. Any materials, information, or other communications that the user publishes on this website shall not be considered confidential or private, and Slovak Telekom does not assume any responsibility for such publications. Slovak Telekom is not responsible for any damages caused by using the website. All materials, including images, software, text, graphics, and other contents of the website, are protected by copyright and other intellectual property rights. Names of products, services, and companies mentioned in individual documents may be registered trademarks of their respective owners or other trademarks with legal protection. Slovak Telekom is dedicated to protecting the privacy and security of personal data of customers. When providing services, Slovak Telekom pays due regard to complying with the general rules of competition protection, and to meeting the obligations arising directly from Act no. 351/2011 Coll. on Electronic Communications, or the decisions of the Office for the Regulation of Electronic Communications and Postal Services.